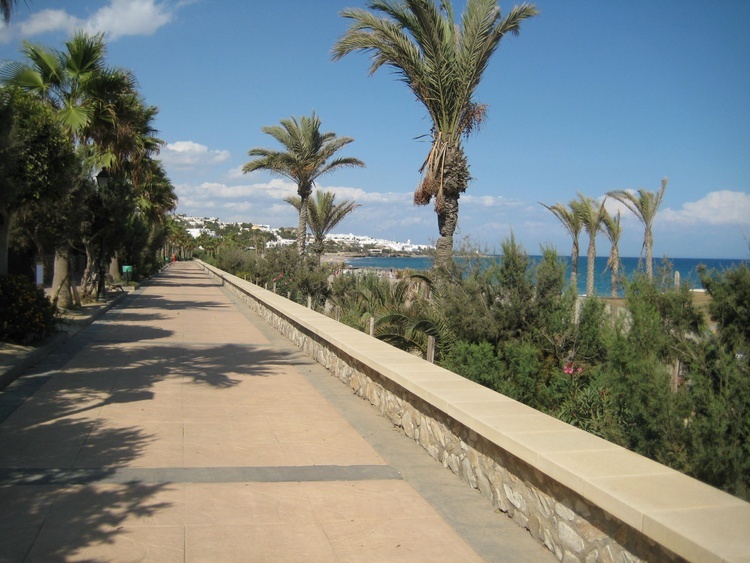 Glorious Mojacar where the sun goes for the winter! 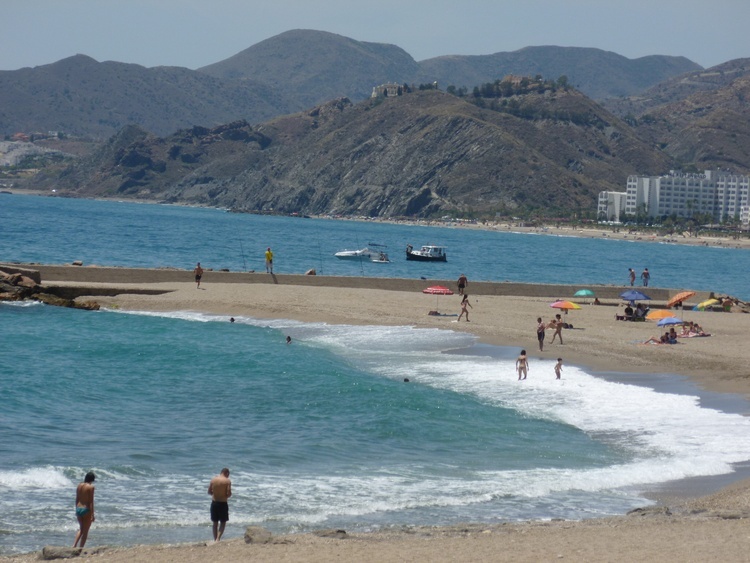 320 days of sun on average makes this area the best for sun in mainland Spain! 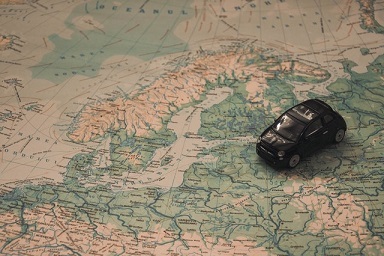 Plus Miles of Blue Flag beaches . 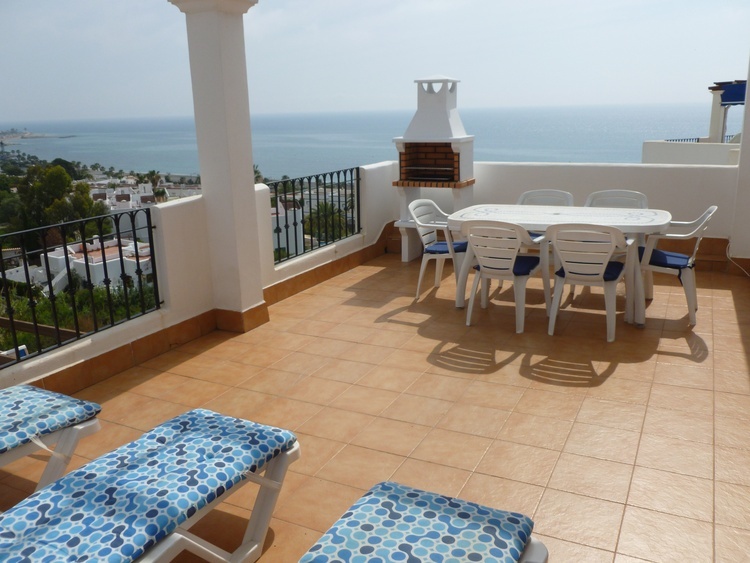 Enjoy the best views of Mojacar Playa from this luxury apartment. The two, super large terraces overlook the warm blue Mediterranean. 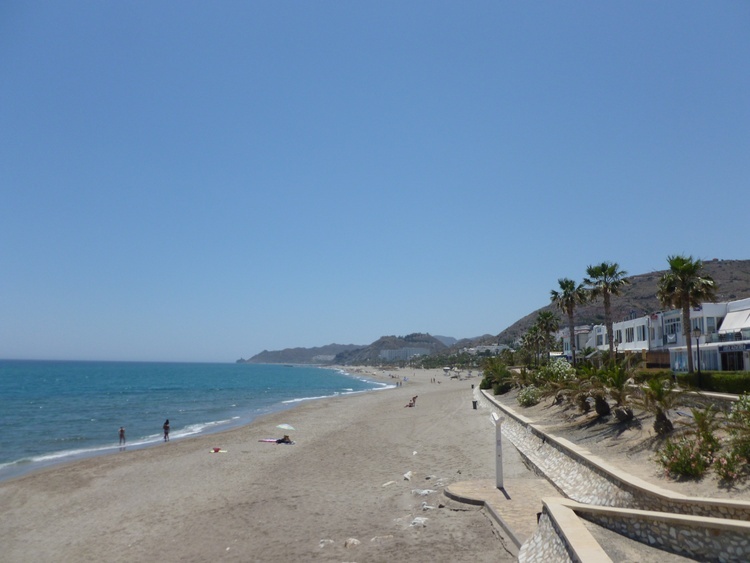 04368, Europe, Spain, Andalusia, Almería ,Mojacar Playa. 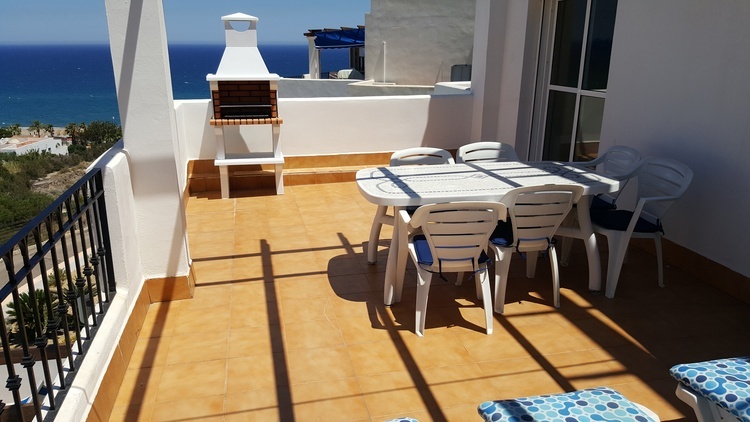 Spacious and bright this apartment is fully equipped, we even supply beach towels, hair dryer, books , beach toys etc., to help with your luggage weight restrictions! 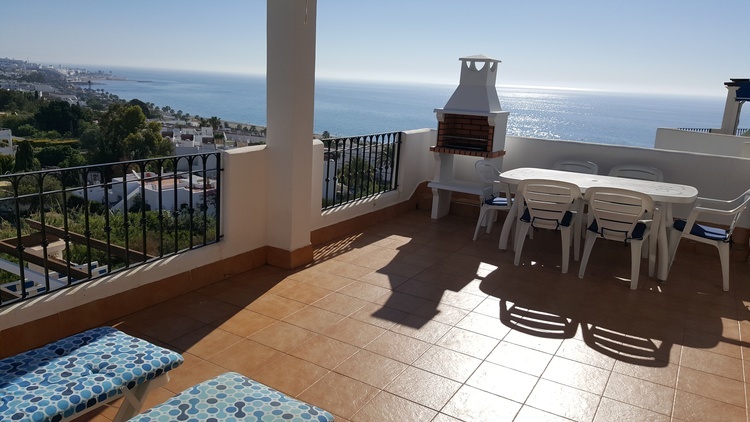 apartment comprises: A large living room which has wonderful views, and doors leading to the main terrace, dining table and matching comfortable sofas. TV, DVD player etc. 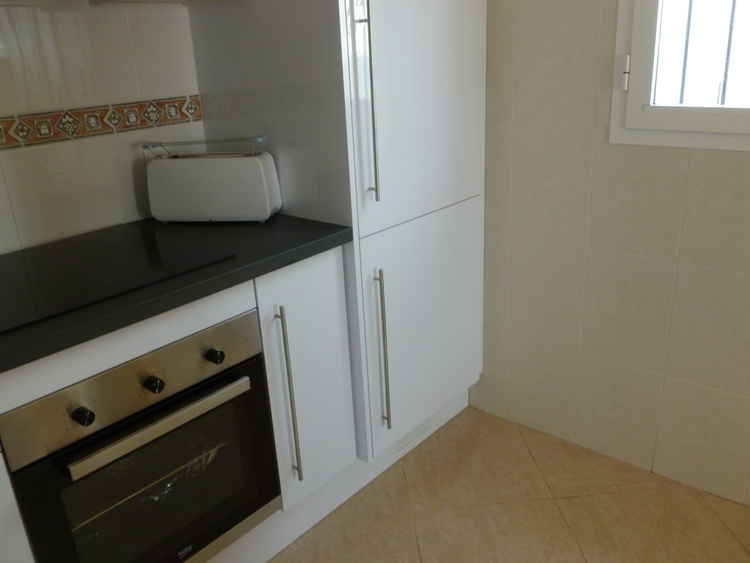 The kitchen was updated just last year and has a dishwasher, electric cooker and a microwave washing machine, large fridge freezer etc. all utensils and everything necessary to cater for 6 people comfortably. 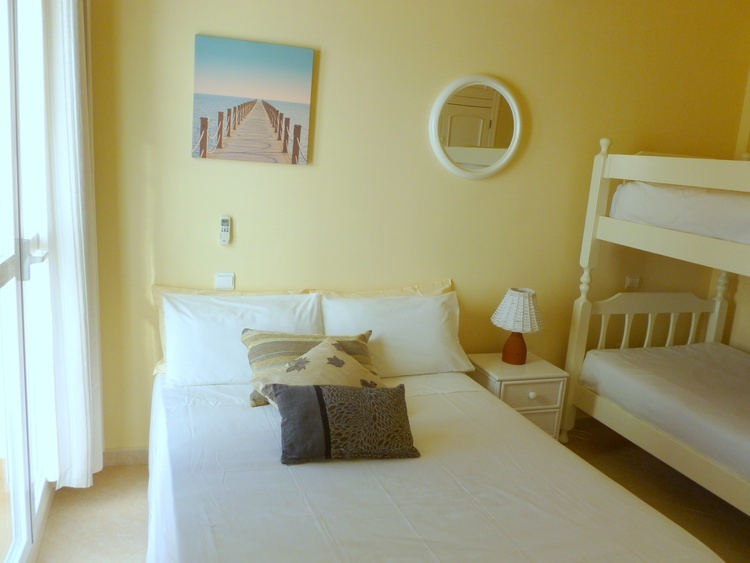 There is a Super King Size extra long bed in the master bedroom, which has french doors leading to the terrace. Sleep listening to the sounds of the sea and wake to the sunrise on the mountain! 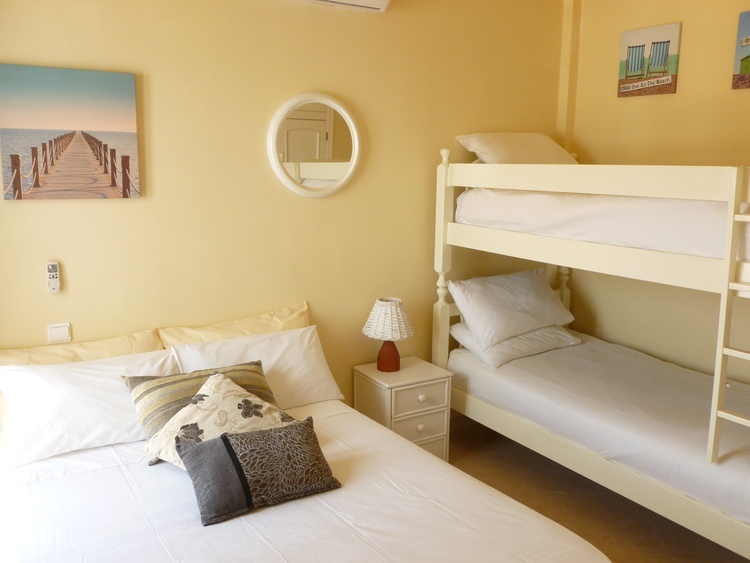 The second large bedroom has a double bed along with pine bunks, it has its own terrace. Both have air conditioning. 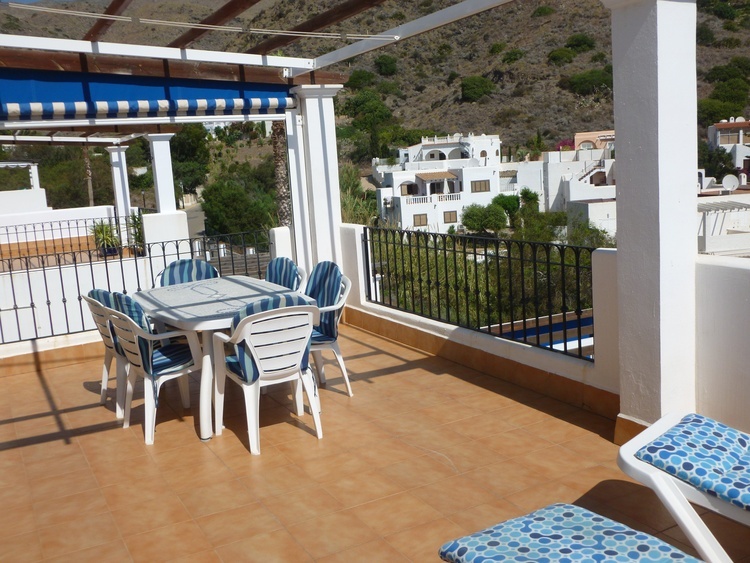 Beautifully positioned, great views, day and night, huge balcony with views of the mountain the playa and the sea. Sunrise and sunset are spectacular. 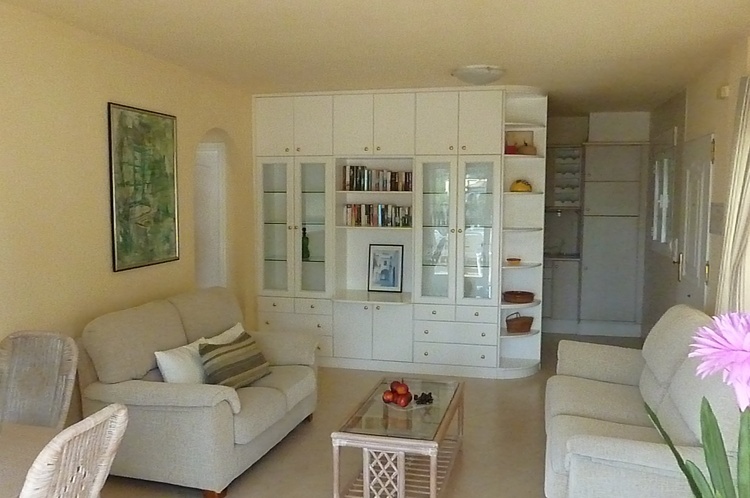 Spacious and spotless, decorative bright and airy apartment with the cosiness of home. Welcome pack of kitchen necessities super start. 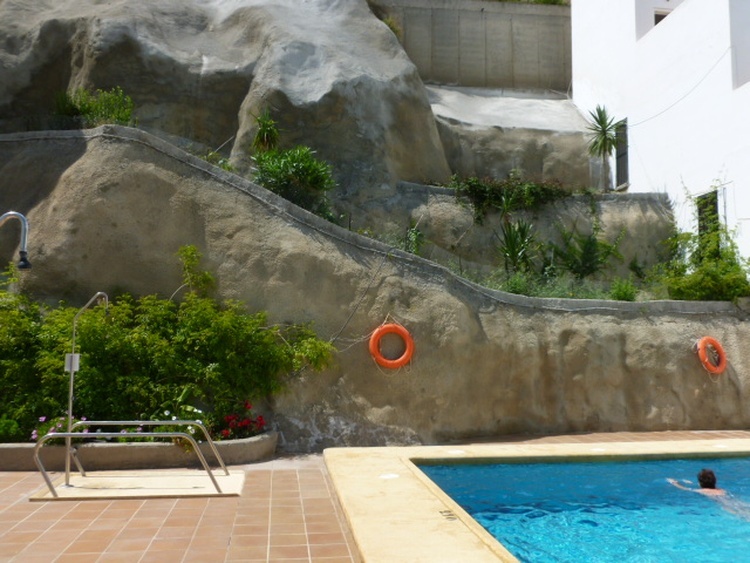 We have 5 children aged 10-20 years, they all had a wonderful holiday. 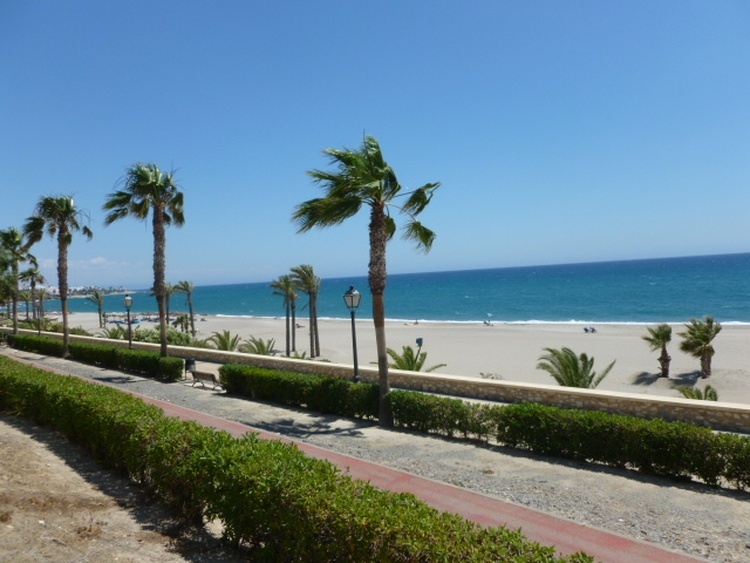 All amenities and a variety of restaurants within easy walking distance as was the spotless safe well maintained beach. Old charming hilltop village a taxi ride away well worth a couple of visits. Ingenious attractive ice-cream parlour nearby a must!.Handwritten local information book in this apartment from previous visitors, really helpful and wonderful idea. Owners available by phone extremely helpful and friendly. 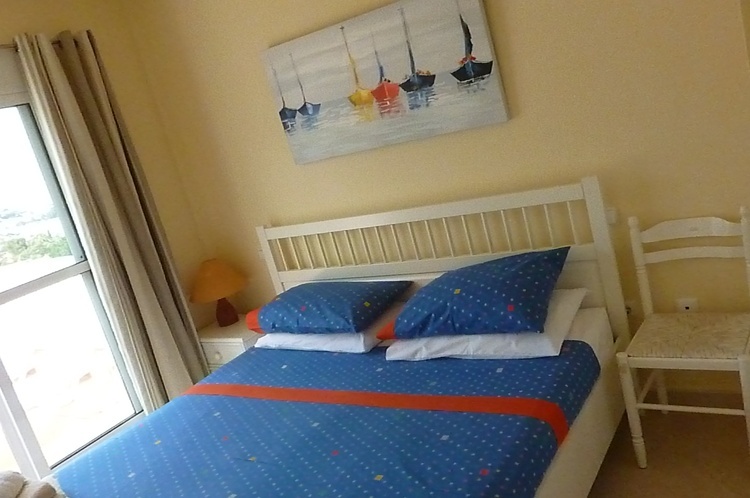 Overall the destination and the accommodation were faultless, the gentle pace and warm atmosphere, friendly restaurants and bars were all child and teenage friendly. Crowd free, noise free, stress free, commercially low key, get away from it all . I would highly recommend it for families, couples, anyone looking for a real holiday, where even a short week feels like you have gone to paradise for a month!! We are definitely going back again this year. 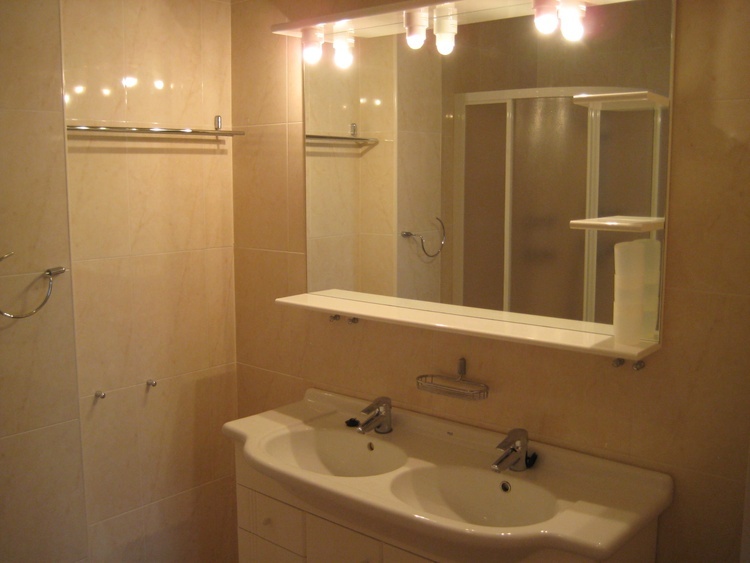 It's the kind of place and apartment that you would want to keep to yourself it's so special and different. Can't fault it at allSo much space! 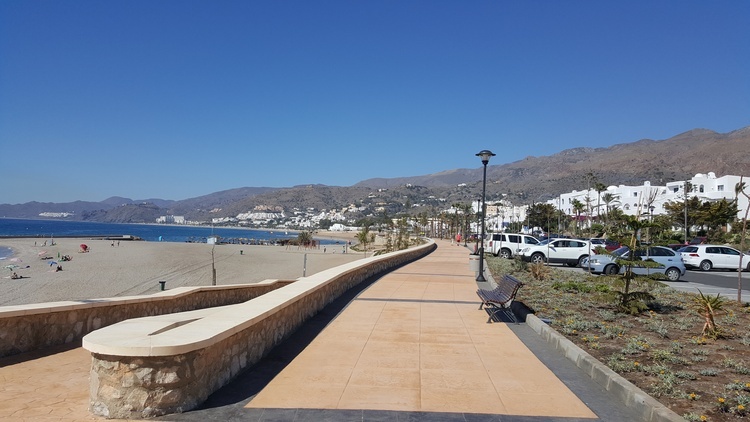 MOJACAR IS THE NEW POPULAR DESTINATION...UNSPOILED BUT COSMOPOLITAN....SEE FOR YOURSELF WHY EVERYONE COMES BACK AND RECOMMENDS THE AREA. 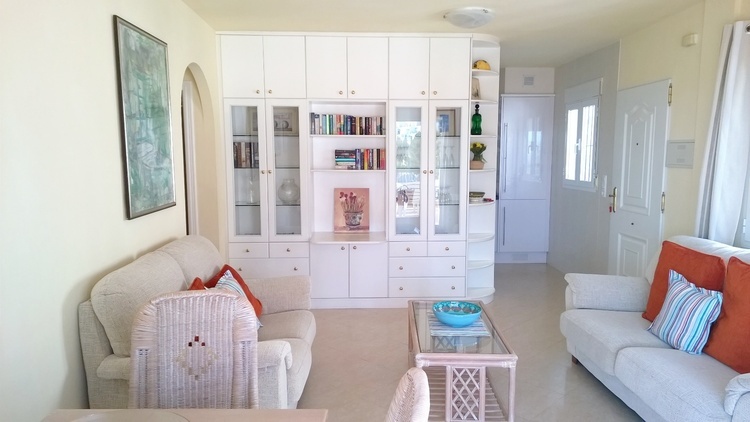 This is a super holiday apartment is in a much sought after location, just 5 minutes walk to the Blue Flag beaches and promenade, bars, fabulous selection of reasonably priced pretty restaurants etc. 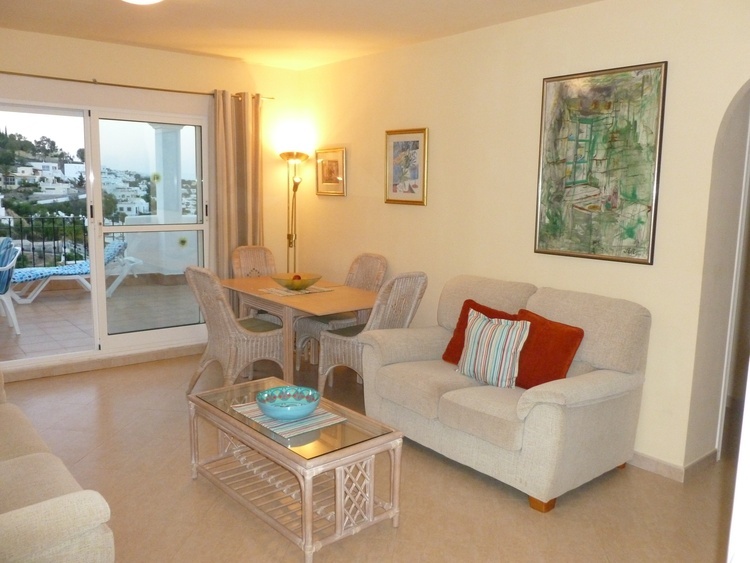 The super location makes this a popular choice for families or couples who want a relaxing, memorable holiday. You will see why so many guests re-book! 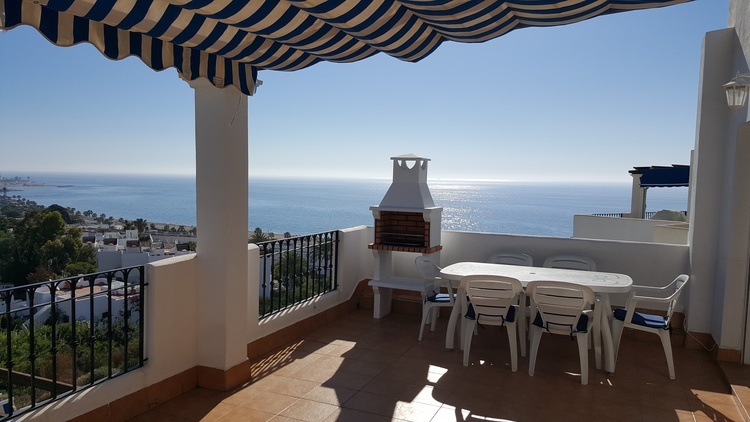 The terraces are equipped with awnings so you can relax and read, sunbathe, enjoy long lazy lunches and later dine while watching the spectacular sundown & the magical twinkling lights of Mojacar by night. 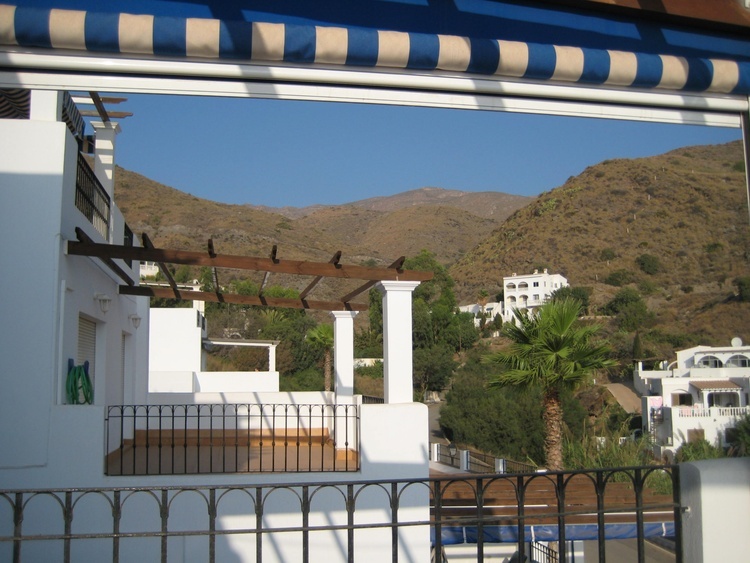 Most guests say it is so hard to drag themselves away from the view! 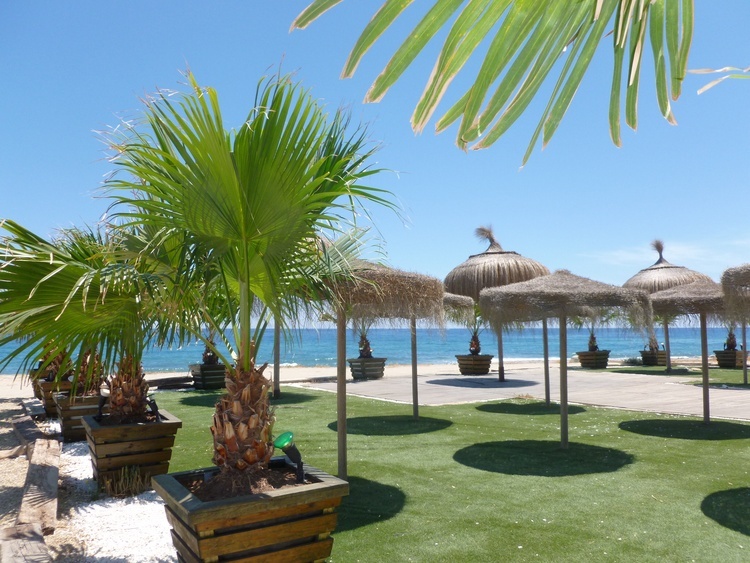 As it is only a short walk to the beach, you can come back "home " for lunch or eat at one of the many gorgeous beach bars and restaurants overlooking the blue Mediterranean, average price for 3 courses and a wine or beer is €9.50!! 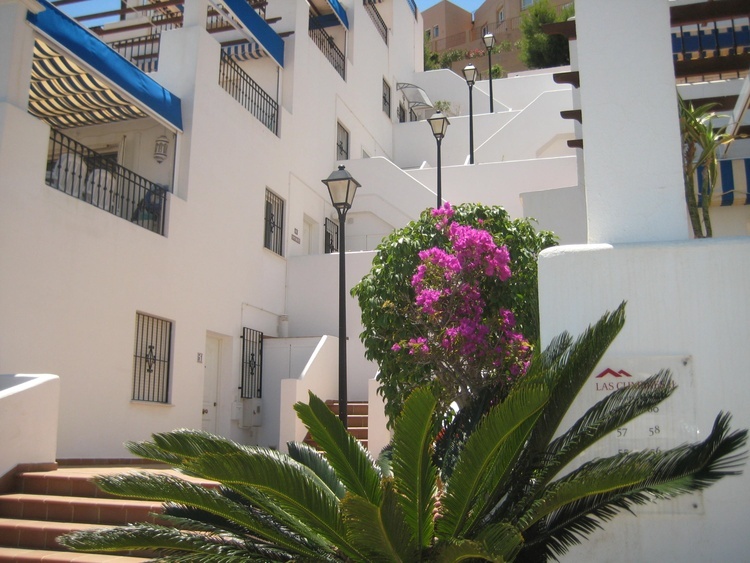 You will be able to enjoy all the delights of Mojacar from this great base. 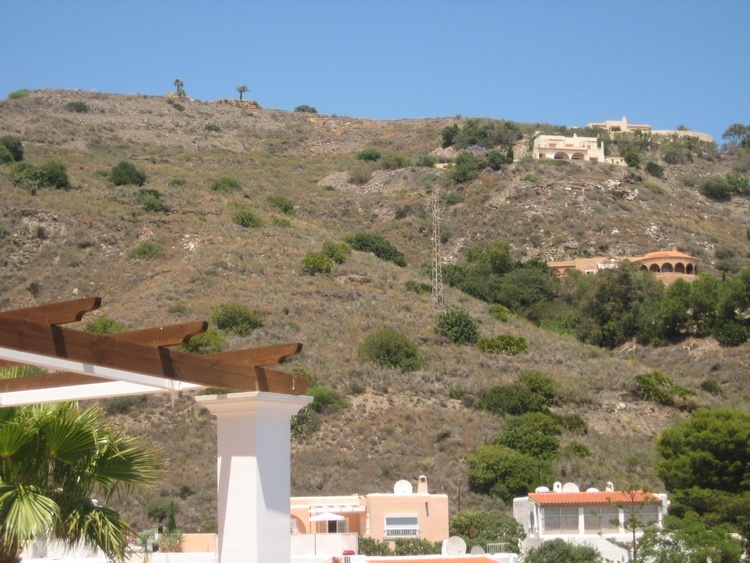 Water sports, quad biking, tennis, horse riding, scuba diving, golf (many excellent courses nearby including the famous Desert Springs) shopping, sightseeing especially Mojacar Pueblo with its sugar cube houses tumbling down the hill. 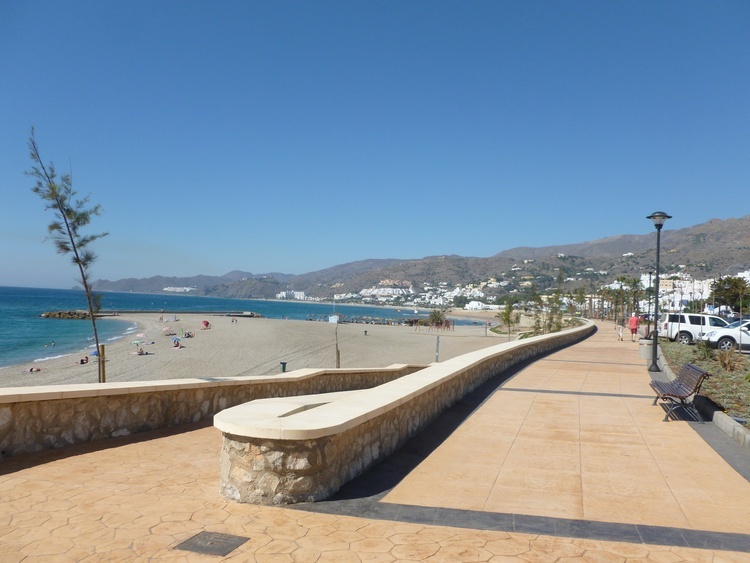 The main square has spectacular views down across the plains to the Playa and with its narrow romantic streets bedecked with flowers it is well worth a visit, especially on market day. 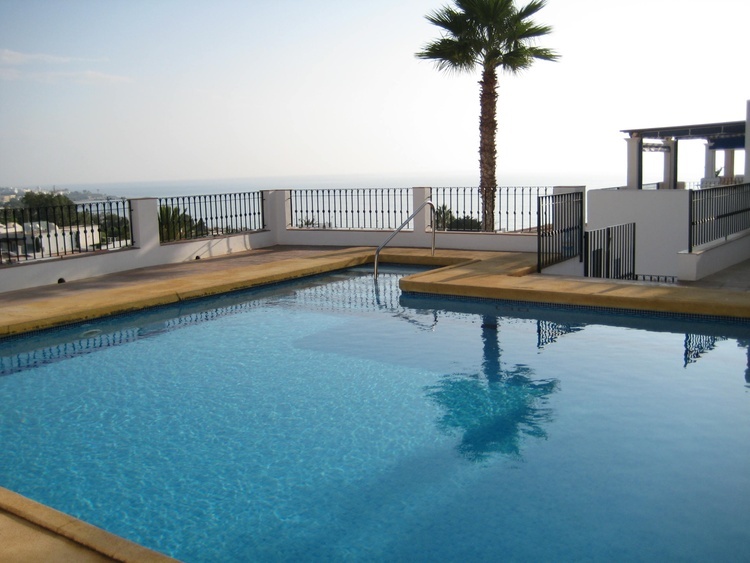 Name:Apartment MOJACAR luxury apartment with super sea views. Free wifi.